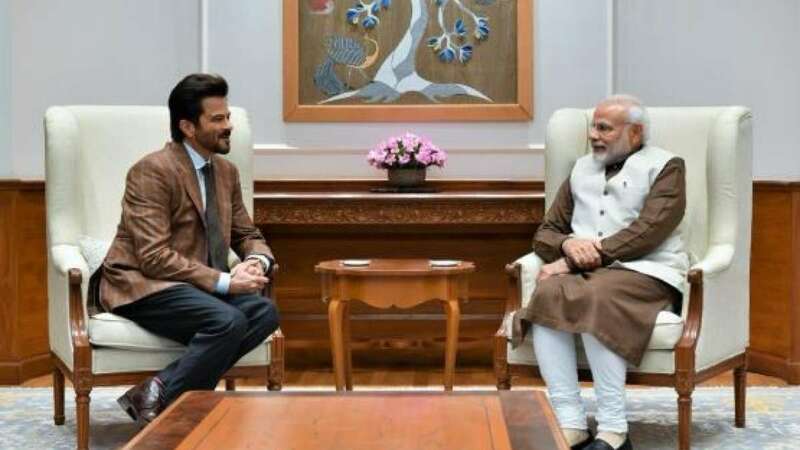 New Delhi : Veteran actor Anil Kapoor on Thursday met Prime Minister Narendra Modi, and said he was left inspired by their conversation. "I had the opportunity to meet our honourable Prime Minister Narendra Modiji today and I stand humbled and inspired in the wake of our conversation. His vision and his charisma are infectious and I'm grateful for the chance to have witnessed it in person," Anil tweeted along with photographs of his meeting with Modi. In the photographs, the "Mr. India" actor is seen greeting the PM.